Movement: The 765 uses advanced microprocessor control technology to link two quartz-controlled DC motors in a direct drive configuration to control shutter and film transport. No belts or mechanical couplings are used in the drive system. Dual registration pins, triple-pin pulldown claws and user-adjustable pitch control assure image quality to optical printer standards. Speed Range: Quartz-accurate sync at 15/24/25/ 29.97/30/60/75 fps on-board; 2-100 fps with the CCU; 24 fps reverse; and 1 fps with the 765's Remote Control Unit. Run-up time is less than 1 second at 24 fps. 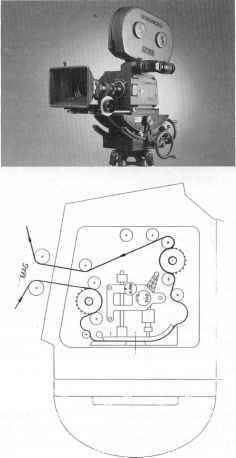 Shutter: Rotating, microprocessor-controlled silicon mirror shutter, mechanically variable from 15° to 165°, plus 144°, 172.8°, and 180°. Reflex Viewfinder: The viewfinder has a built-in optical turret that permits on-the-fly selection of either 80:20 or 100:0 video/viewing ratios, and has a switchable ND.6 contrast viewing glass, ArriGlow illuminated frame lines, and a finder extender with built-in 2X image magnification. A short finder (for portable operation) and a video finder are also available. A wide-angle eyepiece with manual iris closure, 8X magnification, and 2± diopter adjustment is standard. Camera Control Unit (CCU): The CCU remotely turns the 765 on and off, and also activates speed changes, from up to 100 feet away. Lens Mount: 64mm diameter Maxi-PL (Positive Lock) lens mount; flange focal distance of 63.5mm; designed for ARRI Maxi-PL prime and RTH Cooke zoom, wide-angle and telephoto lenses. Drive: Microprocessor-controlled 24V DC motor in direct-drive configuration to shutter and movement. Power input via a 3-pin connector: pin 1 is (-), pin 2 is + 24V. Operating temperature range is -4°F to +122°F (-20°C to +50°C). Operating Noise Level: 25 dBa at 24 fps; 28.5 dBa at 30 fps. Indicators: In-finder displays: out-of-sync and film-end. Digital LCD Tachometer and Footage Displays: camera left/right; audible and visible out-of-sync; low battery; and feet/meters footage display. Magazines: 400' (160m) and 1000' (300m) displacement with microprocessor-controlled torque motors. Microprocessor samples and adjusts feed/take-up tension and all other functions continuously. Automatic connection and data transfer to camera via multi-plug pin plug. Mechanical and digital LCD counters. Lenses: ARRI/Zeiss 65mm format lenses include 30mm, 40mm, 50mm, 60mm, 80mm, 100mm, 110mm, 120mm, 150mm, 250mm, 350mm, 2X Mutar Extender, and a 38-210mm zoonji. Maximum aperture ranges from T-1.8 to T-4.2 for prime lenses, and T-6.2 on the zoom. Matte Boxes: The 765's 6.6x6.6 Swingaway Production Matte Box covers all 65mm format lenses. 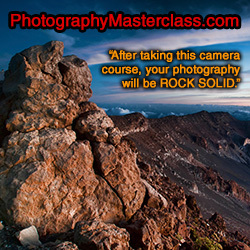 Has two fully rotatable 2-filter stages. Geared filter frames. Electronic Accessories: 1. Variable Speed and Sync Unit (VSSU): The VSSU module allows remote speed changes between 6 and 100 fps non-crystal; provides synchronization with external PAL or NTSC video signal (50/ 60 Hz) via up to 100' BNC cable. 2. Video Optics Module (VOM): Color and B & W CCD video tap cameras, with flicker reduction and iris control. Additional Accessories: 2-Speed follow focus; bridgeplate support system for CG balance and mount for matte box, follow focus, servo zoom drive, and heavy lenses; finder extender and leveling rod; barney and heated barney; Arri Geared Head. This camera, designed in conjunction with Wilcam, is intended to meet the exacting needs of Showscan cinematography (60 fps) but operates at conventional speeds as well. Photographed aperture is standard 5-perf 65mm (2.072" x 0.906"). Movement: Compensating link, with dual registration pins and four pull-down claws. Retractable register pins and 2-axis stroke adjustment that permits tuning the movement for most silent operation. Removable aperture and pressure plates for ease of cleaning. Shutter:! 170° fixed-opening focal plane shutter. Speed Range: 1-72 fps, forward or reverse, by 4-de-cade digital dial that is crystal accurate at all selected speeds up to 2 decimal digits. Single-frame operation under control of external intervalometer also available. 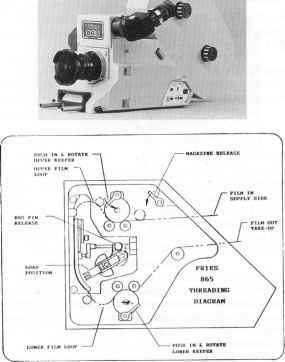 Reflex Viewing System: Rotating mirror reflex image through ground glass, with provision for film clip insertion, to a 360° erect image orientable viewfinder. Easily attached eyepiece extender with automatic leveler also available. Built-in video tap for high-resolution CCD chip camera also included. Lens Mount: Quick-acting bayonet lock for specially mounted CP-65 lenses. Lenses: A complete series of specially mounted prime lenses varying from 24 to 1200mm, as well as high-quality zoom lenses, are available. Sound Blimp: The camera's self-blimped design permits sync-sound shooting at 24 fps. At Showscan speed of 60 fps, a lightweight composite material sound blimp is provided to meet exacting sound level requirements of sync sound filming. Magazines: 1000-ft. magazines and 2500-ft. individual supply and take-up cassettes are available. Magazine blimps for both sizes are also available. Special Features: Camera can be externally controlled for phase locking as required by process photography and 3-D filming. This is a large-format 65mm 8-perforation camera designed to meet the requirements of new formats for special venue productions. Photographed aperture is 2.072" x 1.450"
Movement: Dual registration pins and six pull-down claws. A cam and eccentric mounted on a single shaft actuate the pull-down and operate the register pins. Removable aperture and pressure plates for ease of cleaning. Shutter: 170° fixed opening blanking shutter. Speed Range: 2-72 fps forward or 2-30 fps reverse. All speeds crystal controlled. corrected through approximately 180°. Built-in video tap for high resolution CCD chip camera also included. Lens Mount: Universal bayonet type with a large port diameter. Special mounts available upon request. Lenses: A complete series of Hasselblad lenses is available. Magazines: 500ft. and 1000ft. displacement magazines with torque motor take up and hold back. Special Features: Valve which allows the operator to direct light to the viewing system, or to the video assist or combo which splits the light between both viewing and video assist. Weights: Camera body 45 lbs., 1000 ft. 13 % lbs. Accessories: Standard Arri matte box.